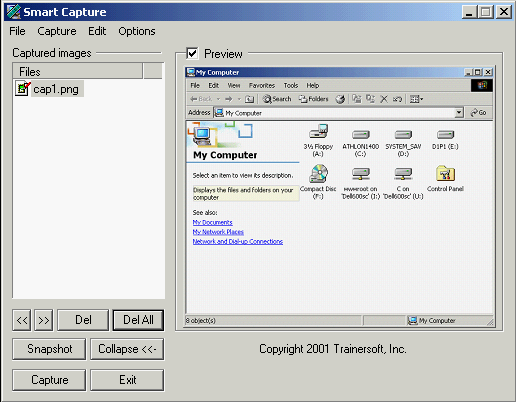 Trainersoft SmartCap is a powerful screen capture utility included with Trainersoft Desktop Author. SmartCap is capable of capturing screen images to BMP, JPG, and PNG formats - which it can then crop, and can also output image sequences to simple AVI video files. SmartCap was written using Microsoft Visual C, and uses the Microsoft Foundation Classes, as well as 3rd party image libraries.